March 15, 2007: ARRT will be participating in the first annual Hudson Fresh Air Festival. There will be tents at all the trail parking lots, including our table at the caboose. The caboose interior will be open for tours for the first time! Stop by and say hello, pickup a trail clean-up bag and check out the caboose. January 31, 2007: Acton has received a Massachusetts Downtown Initiative (MDI) Program grant to help the preliminary ("10%") design study of how the trail will cross over the MBTA tracks at the South Acton train station. Other funding support comes from Acton's ARRT CPA funds. BSC/TerraSphere is the design consultant and will be presenting the 3 best options at a public hearing sometime around April. December 2, 2006: The Intel sponsored lantern project is finished. 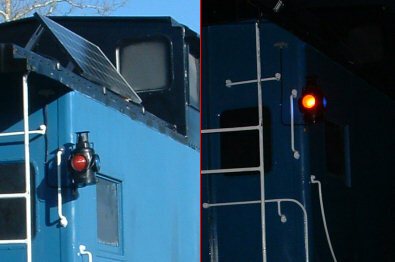 This authentic replica of a RR signal lantern is powered by a solar electric panel on the roof of the Hudson caboose. It is lit at dusk every evening and is visible from both the trail and Main Street. By mid-December, holiday lights will also be powered by the system. Thanks to the many ARRT volunteers who helped make this possible. August 22, 2006: The ARRT is pleased to announce that it has received a $5,000 grant from Intel Massachusetts in Hudson. The grant was made through Intel's Public Affairs department and will be used for rail trail related work in four of the ARRT communities. Specifically, the grant will contribute to the design and landscaping of a new trail-side mini-park in Marlborough, the renovation of Tobin Park in Maynard, the startup gift for the Acton Design Fund and the continuing restoration of the ARRT RR caboose in Hudson. ARRT is pleased that Intel has continued its support of the Assabet River Rail Trail project, in a relationship that began in 2003 and is looking forward to the assistance of Intel Team volunteers in several of these efforts. April 29, 2007: The ARRT caboose was open to the public for the first time, as the premier attraction at the first annual Hudson Fresh Air Festival. is 7:00 PM, May 17th at the Maynard Public Library. Monthly ARRT meetings are open to the public. Anyone interested in our activities are invited to attend. Meetings are usually finished by 9:00 PM. The complete ARRT calendar is here. March 1, 2007: Six engineering firms submitted bids for the Acton-Maynard trail design project on the March 1st deadline. It is expected that the contract will be awarded by the end of April. February 3, 2007: The Town of Hudson is started fundraising for new bike racks around town. More details are here. January 25, 2007: The RFP (Request for Proposals) for the 100% design of the Acton-Maynard ARRT project was posted on the state web site. A meeting for prospective bidders was well attended and the preliminary bids are due March 1st. September 17, 2006: The 2nd ARRT logo was painted on the Hudson ARRT caboose. 8 volunteers showed up to help on a perfect fall day. A picture is in the volunteers gallery. 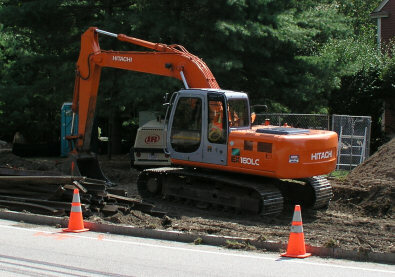 September 16, 2006: The replacement of the Route 62 highway bridge in Hudson has started. This MassHighway project widens and straightens out the existing road bridge. When finished in 2008, it will be 10 feet wider than the existing bridge, to accomodate the rail trail in a much safer alignment. More pictures are in the construction gallery. July 22, 2006: The Hudson High Bridge is finally finished and open to the public! Come see the scenic highlight of the entire trail. July 14, 2006: The Commonwealth has released the draft 2007 Transportation Improvement Plan (TIP). This is the document that prioritizes all highway and bike trail projects in greater Boston. Everything that was being requested was tentatively approved, but the F-2009 amount was cut. The funds for the design of the ARRT in Acton, Maynard and Stow are in the Fiscal 2007 budget. 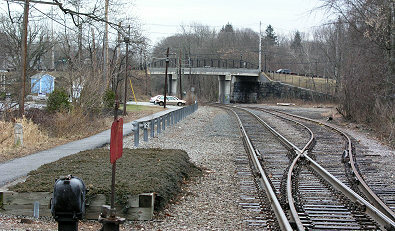 The money for the construction of the trail in Acton and Maynard is in Fiscal 2009.